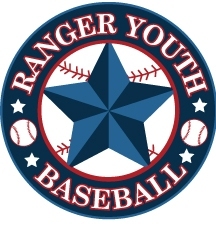 Get ready for some Baseball, Ranger Youth Baseball is ready to go here in Texas in 2019!! The plans for the Ranger Youth Baseball program are alive and well. If you have any questions, call me at 903-812-7823 or call your district director. Also, I would like to reminded you to mail in your franchise form (that was recently mailed to you) ASAP. This will allow us to better serve your league with a quality program. Insurance for Ranger Youth Baseball is available through K @ K on website. We are looking forward to serving you and providing a fun season for your league. April 1 – Franchise fees must be sent in to above address.